Fluorescence microscopy is an essential tool in biological and biomedical sciences, as well as in material science. The fluorescence images below were captured using a research microscope with a research microscopy camera. 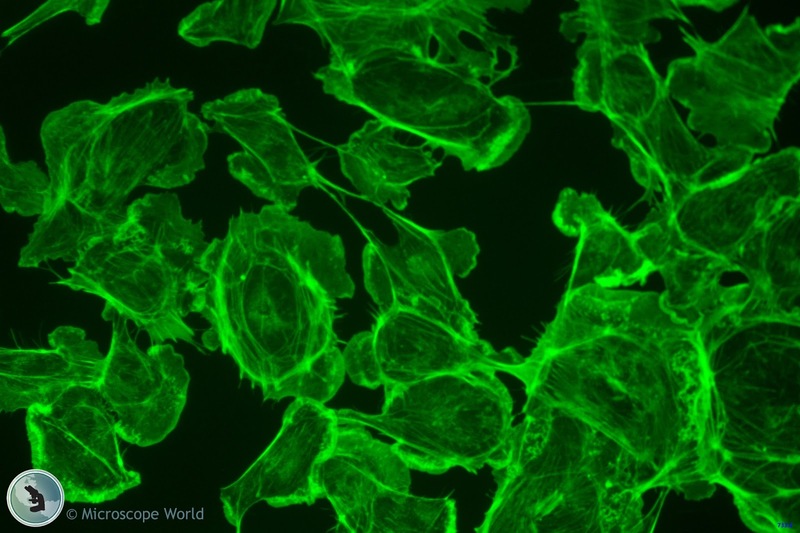 Green fluorescence image captured with a research microscope. 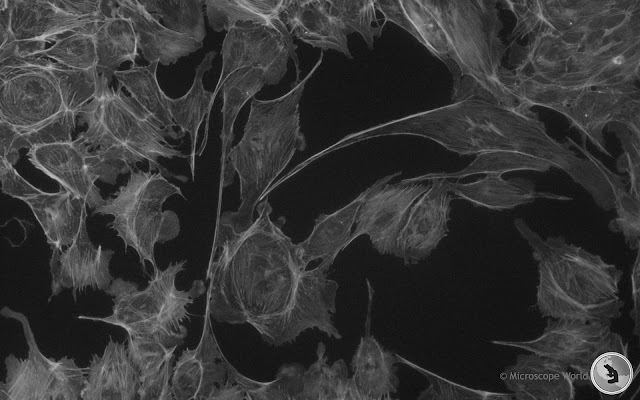 Monochrome fluorescence image captured with a research microscope. Multi channel fluorescence microscopy image captured with a research microscopy camera. 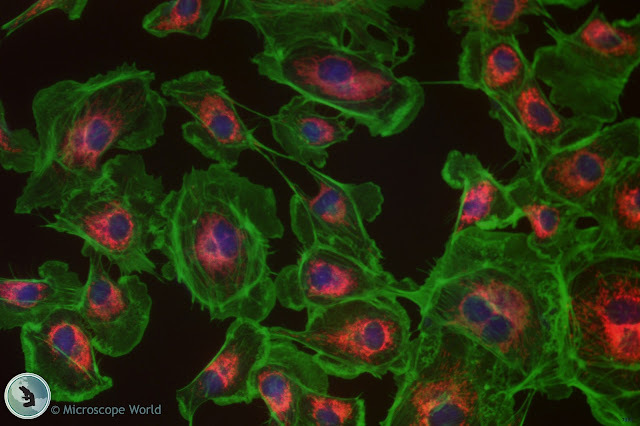 For more information on fluorescence research microscopes or research microscopy cameras for your specific application contact Microscope World.